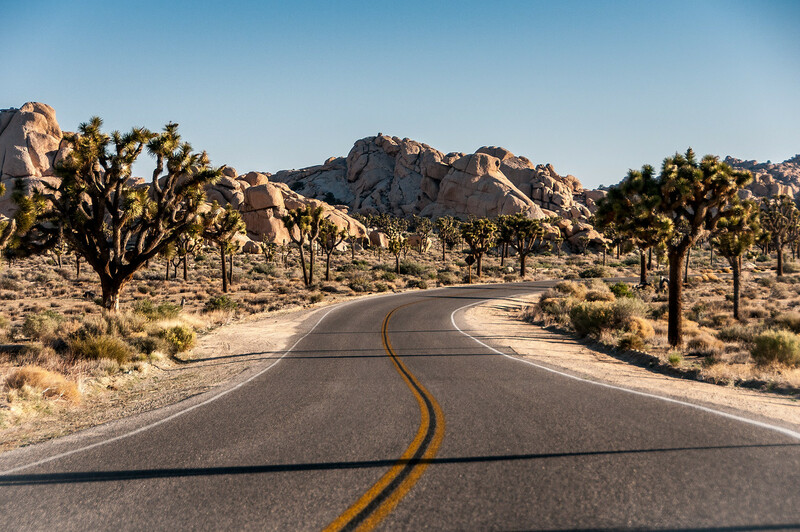 Joshua Tree National Park is located in the Mojave Desert in Southern California, centered roughly between Las Vegas, Los Angeles and San Diego. It gets its name from the Joshua Tree (Yucca brevifolia, seen above) which inhabits most of the park. 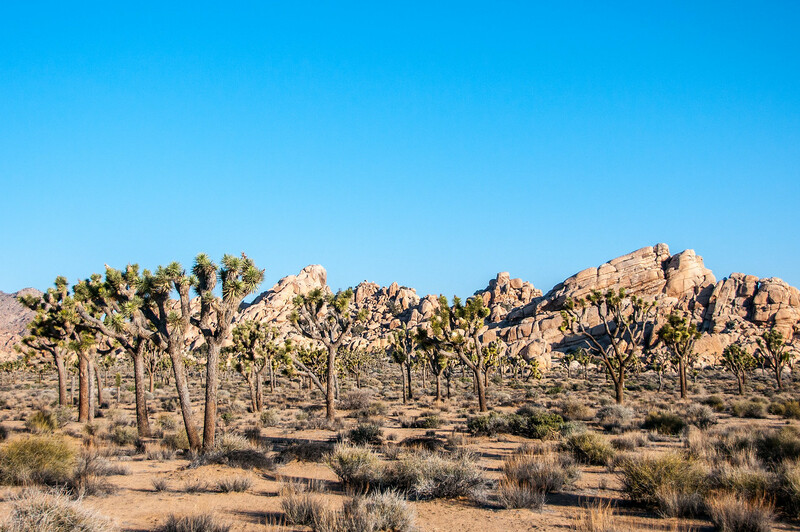 Due to its remote location in the desert, Joshua Tree isn’t a popular national park. Nonetheless, it is a strikingly beautiful park due to its stark landscape. Despite the size and remote location of the park, visiting is not difficult. It is a 2-3 hour drive from the major cities listed above. In the park, there is a limited network of roads which will let you explore the park by vehicle. There are several communities north of the park which make for excellent bases: Yucca Valley, 29 Palms, and the town of Joshua Tree. If you are doing a tour of national parks, the two closest would be Death Valley and Channel Islands. 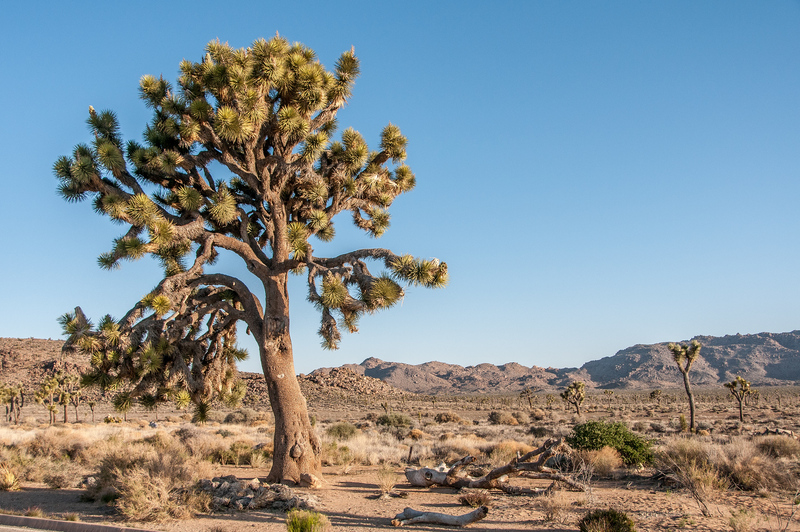 The Joshua Trees, to which the park is named after, is the most distinctive feature in this national park. These trees are characterized by its twisted and spiky branches. This plant belongs to the Agave family and is a monocot. It is a good indicator that you are in a Mojave desert as they only grow in this particular environment. Joshua Tree was discovered and used by the American Indians that once inhabited the area. They were used for making sandals and baskets. Meanwhile, the seeds (when roasted) and flower buds were also included in their diet. It is illegal to approach and feed the wildlife in the park. It is also for your own safety. The park imposes a strict “Leave No Trace” policy. This is to ensure that human presence and activity does not affect the park’s pristine conditions. Always keep your distance. When you get too close, it can cause stress to the animals. The use of spotlighting or other artificial methods of using light for viewing wildlife is prohibited in the park. When you find a sick or endangered animal, avoid touching or approaching it. You need to contact a park ranger instead. View the complete list of National Parks in California. 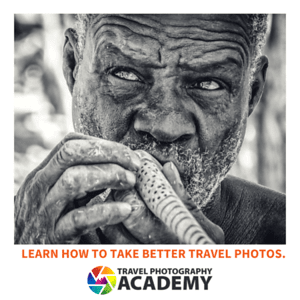 I would like to download your free ebook. After my mailadress and name, there is “return to the last page”, but it doesn’t work!